When you are planning a move to Las Vegas, it’s always good to stock up on fun facts about the city you are going to be living in. And it’s not all about the casinos and gambling… well, not completely. And when talking to your friends about moving, you should be able to impress them with your extensive knowledge. Carry on and impress them! But don’t let those names scare you. Las Vegas is a great residential city where you can happily and safely raise a family. Here is a big, big plus for living in Las Vegas! Nevada has the lowest taxes of anywhere in the country. It’s the casinos and slot machines that end up paying for all the schools, parks and roads. And with nearly 40 million people visiting every year, it adds up to a lot of benefits for the state. If you’re going to be looking for work in Vegas, and you don’t want to work in the casinos, believe it or not, being a bartender should be your first choice. If you can learn to make all the different drinks someone might order, and you can maintain your customer service pleasantries under all circumstances, you could be earning $100,000+ a year. So how did Las Vegas Boulevard become Las Vegas Strip? When you contemplate a strip, you are contemplating a straight line. However, the Las Vegas Strip is not at all just one straight line. There are numerous walkways, overpasses, and malls which go in every direction. You really need a map in order not to get lost. Las Vegas is seen from outer space as the brightest place on Earth. That is because the Las Vegas Strip and downtown has about 15,000 miles of neon tubing. Imagine standing on the space station and seeing the Strip! It’s been done! When you have friends come visit, you will never have a problem putting them up. Of course, there are many, many hotels to choose from if you don’t want to have them stay in your home. And you can even fork up money to pay for their room, making you a true host. It’s easy to pay for a room when many of them run as low as $35 a night. If your friends love bowling, invite them to come visit you in Las Vegas. Check out putting them into the Palms Casino Resort Palms where their Kingpin Suite contains two functioning bowling lanes. What fun for your friends! Again, you will be a true hero as a host. The Paris Hotel in the city has a beautiful replica of the Eiffel Tower outside. This ½ scale sculpture was originally designed to be a full size tower, just like the one in the real Paris, but it had to be built on a smaller scale due to planes flying over from a nearby airport. 10. Stay in a Different Room Every Night for 288 years! Taking all the Las Vegas hotels together, there are 130,000 rooms available to the public. This means that one person, spending one night in each room, would finally stay in all Las Vegas hotel rooms in 288 years. Despite the abundance of hotel rooms available in Las Vegas, there is almost always a 90% occupancy rate. That is a happy fact for all hotel owners. Living in Las Vegas means that sometimes you will have to visit the casinos and try your luck. But of course, play responsibly. With 104 casinos in the city and immediate surrounds, you really can’t pass it up now and again. Casinos here are defined as places that have table games or over 15 slot machines. Just about any single business you walk into will have at least one or more slot machines. A couple of interesting facts for you: The mobster Bugsy Siegel founded The Flamingo and named it after his girlfriend, a showgirl. She had long legs which inspired the title. Also to note, casinos in Las Vegas never use dice that have rounded corners. Check it out when you’re there! There are plenty of fountains and man-made lakes in Vegas, but the most famous fountains are the Fountains of Bellagio. However, when you have thousands of people coming together to enjoy the show, you can bet that many items — anything from food wrappers and coins to diapers and papers — make their way into the filters. It takes more than 30 engineers to maintain the fountains. They also have to be dive-certified because most of their work takes them under water. The Bellagio doesn’t have the most rooms of all hotels in Las Vegas, but it’s worth it to note that with a total of 3,933 rooms, the Bellagio hotel has more rooms than the number of people living in Bellagio, Italy. Oh, the tap water is okay, but be sure to tell all your visiting friends that they should not play or wade in the fountains or man-made lakes in Las Vegas. All the water in them is water recycled from bathtubs, showers and sinks. You might not think of it particularly as art, but art it is! The huge bronze lion sitting outside of the MGM Grand Hotel is the largest sculpture of bronze in America. This lion weighs 50 tons! There is something you can do with the kids that will make for a fun afternoon. That is Dig This Las Vegas – the World’s Heavy Equipment Playground. Imagine how it would feel to drive and operate a real bulldozer! You will have as much fun as the kids. And if you get a hangover, you can fix it by employing a service that claims they can cure a hangover. Look for Hangover Heaven in Las Vegas and get on top of that hangover! It almost goes without saying that Las Vegas is the gambling capital of the world. But it has to be said! The largest sum ever won on the slot machines was $39 million, after betting only $100. This happened at a casino called the Excalibur and this amount was won by a player who was 25 years of age – and wanted to remain anonymous, no doubt. Las Vegas has what is known as a Black Book. This is a list of people who are blacklisted and cannot enter and play in any casino in Vegas. Casinos across the country often share their lists through a gaming control board or in other ways. Anyone with ties to organized crime will make the Black Book as well as individuals who are known or suspected of cheating, counting cards, marking cards or cheating the slots. The University of Las Vegas did some research and found that the top casinos were making in total about $5 billion during the year of 2013. (It’s probably even more now.) This came out to the casinos bringing in an average of $630,000 each per day. There are about 500 weddings per day in Las Vegas, which makes it the top wedding destination in the country. In most years the totals have been more than 100,000 couples tying the knot. Makes sense when all you need in Las Vegas to get married is a driver’s license or a passport. And it only costs around $55 for the license, with fast turnaround time. You can get that license in 20 minutes! You have to be 18 years old though. If younger, you can still marry if you have written consent from only one parent. Dogs love Las Vegas! Well, actually they don’t really know what city they are in, but they love to frolic and frolicking is great fun in Vegas. As long as you keep your pet away from scorpions and Gila Monsters, they will love you. Take them to one of five dog parks in Las Vegas – the Barkin’ Basin Park, the Charlie Kellogg and Joe Zaher Sports Complex, the All American Park, Children’s Memorial Park, or Centennial Hills Park. All the fun facts above are just that — fun facts. Las Vegas can be wild and crazy — for tourists. Residents find that they have access to everything found in “normal” cities, such as schools, churches, and grocery stores. You can still go eat out, take in a movie, or shop. 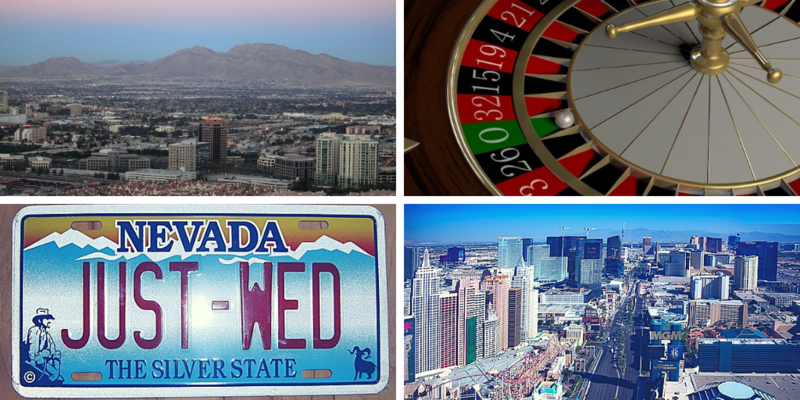 Las Vegas is much more than a city of gambling and shows. It is home to many who love their quiet life in the suburbs.